But visiting the Church of the Multiplication of Loaves and Fishes gave me a different perspective. 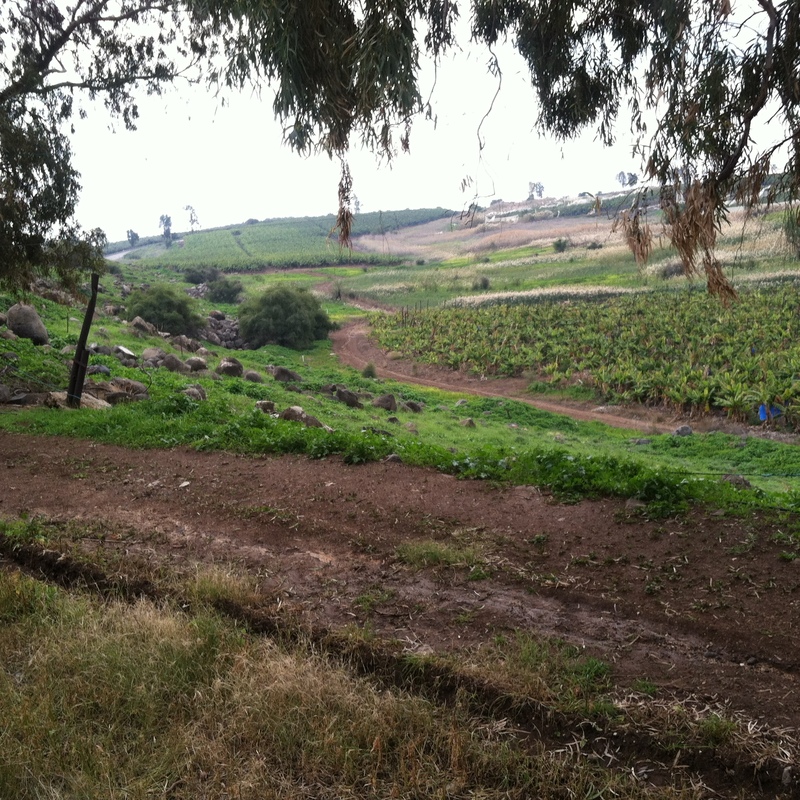 Standing on top of that hill, looking down through the valley toward the Sea of Galilee, I saw fertile, rich fields. Five thousand … Jesus apparently has his own version of modern math. Last week, we heard Mark’s description of events that surrounded the miracle we call “the Feeding of the 5000.” This week, we pick up that story right where Mark left off in his sixth chapter, but now we get John’s version. For the next five weeks, the Lectionary takes us away from Mark’s gospel and back into John’s. 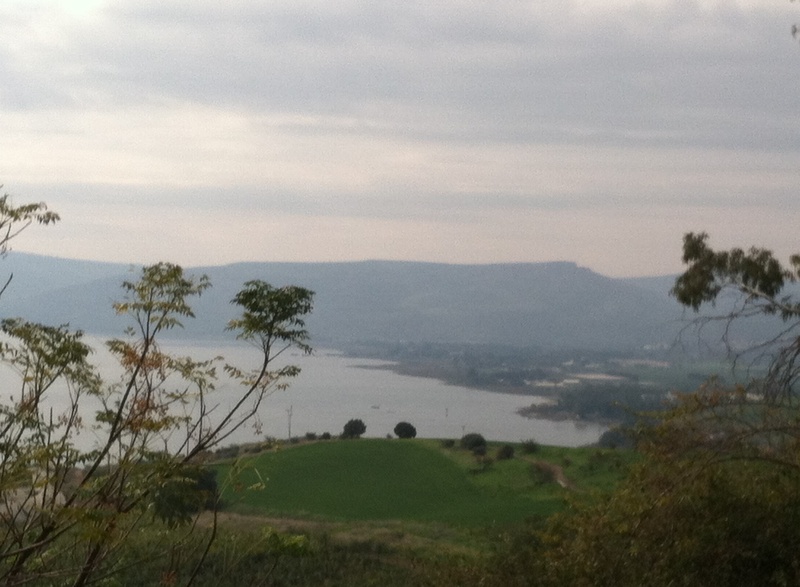 After this Jesus went to the other side of the Sea of Galilee, also called the Sea of Tiberias. 2A large crowd kept following him, because they saw the signs that he was doing for the sick. 3Jesus went up the mountain and sat down there with his disciples. 4Now the Passover, the festival of the Jews, was near. 10Jesus said, “Make the people sit down.” Now there was a great deal of grass in the place; so they sat down, about five thousand in all.11Then Jesus took the loaves, and when he had given thanks, he distributed them to those who were seated; so also the fish, as much as they wanted. 12When they were satisfied, he told his disciples, “Gather up the fragments left over, so that nothing may be lost.” 13So they gathered them up, and from the fragments of the five barley loaves, left by those who had eaten, they filled twelve baskets. 16When evening came, his disciples went down to the sea, 17got into a boat, and started across the sea to Capernaum. It was now dark, and Jesus had not yet come to them. 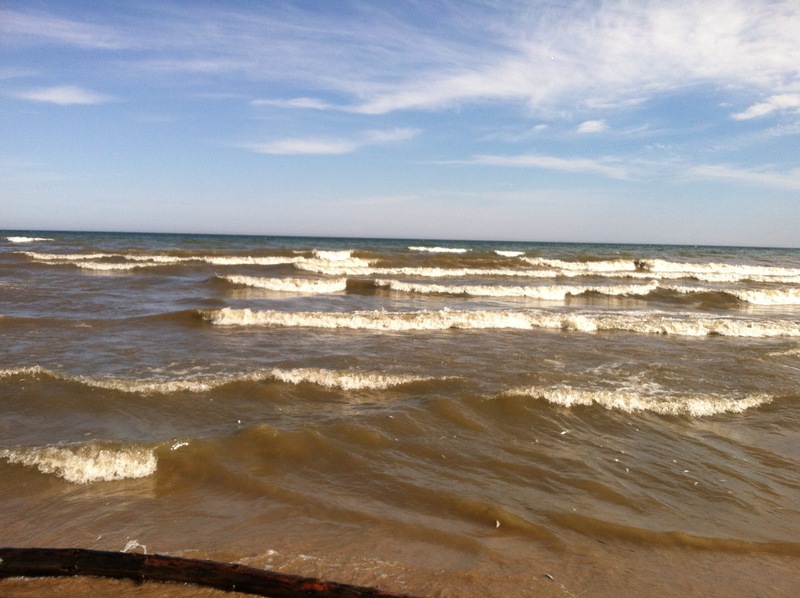 18The sea became rough because a strong wind was blowing. It’s not uncommon for Matthew, Mark, and Luke to agree on a particular order of events, but it’s also not un-common for them to rearrange the order of stories they share. Since John doesn’t usually care too much about chronological order, his close agreement with both Matthew and Mark in this case deserves our attention. and the aftermath, or response of those who witness the miracle. Both of these stories follow that pattern. Other than that, feeding a crowd and walking on water don’t seem to have much to do with each other, and it would make sense to consider just one story or the other, instead of lumping them together in one reading. So why do the gospel writers present them as a unit? Their settings are different, the problems are different, and the miracles themselves are unrelated to each other. The aftermath of one has no apparent connection to the aftermath of the other. What is the common denominator in these two stories? First, let’s look at the settings. Jesus is on a hillside above the lake. This is the only time in the entire Bible that this lake is called the Sea of Tiberias, acknowledging the Roman presence in Galilee. Jesus is alone with his disciples, and it is Passover time. This is the second of three Passovers mentioned in the gospel story, so we can assume these events happen somewhere in the middle of Jesus’ ministry. The crowd is on its way, but it is still in the distance. 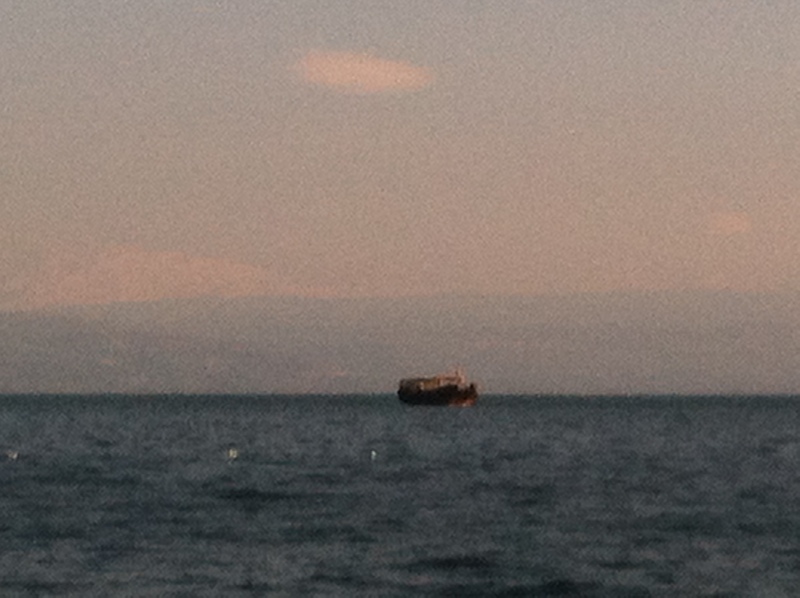 The setting for the second miracle story puts the disciples in a boat, at evening, headed back to Capernaum. Jesus has apparently missed the “all aboard that are going aboard!” call, so they are leaving without him. He’s up in the hills somewhere, out of sight. At the beginning of their time together, the disciples would have gone looking for him. Apparently, they’ve gotten used to having Jesus slip away alone from time to time, so they don’t bother to go get him. Besides, they really aren’t very far from Capernaum, and they probably figure Jesus can find his own way home. Which of these settings feels more familiar to you today? Do you find yourself among that group of tired disciples on the hillside, groaning when you see the crowd coming toward you? Or are you in the crowd, hungering for Jesus to satisfy your material needs? Or are you heading out in the boat on your own, figuring that Jesus will show up when he’s good and ready? Where do you find yourself? What kind of follower are you? In the first miracle story, the problem is pretty simple: there are five thousand people headed your way, and you have enough food for one person. Phillip sees the overwhelming need. Six months’ wages wouldn’t put a dent in the cost of feeding such a huge crowd. Andrew sees the underwhelming resources they have available: five barley loaves and two dried fish. “But what are these among so many people?” he whines. Jesus has set up the situation with a rhetorical question – where shall we buy enough bread to feed all these people? The obvious answer is “nowhere.” But the disciples can’t see yet that Jesus has no intention of buying bread. Some scholars like to draw parallels between this story and the story of Moses in the desert. Both leaders are in remote wilderness settings, and we must remember that God regularly encounters people in the wilderness. Both Jesus and Moses are faced with many mouths to feed, but when Moses asks “where am I to get meat to give to all this people? (Numbers 11:13) he sounds less like Jesus and more like Phillip and Andrew. Moses sees an overwhelming need, and underwhelming resources. There’s another difference, too. Moses isn’t the one who provides bread to his people. The manna falls straight from heaven. When Jesus distributes bread personally to each of the 5000 people sitting on the grass, his actions speak louder than words. Here is someone who is greater than even Moses. The problem in the second miracle is much more common than 5000 unexpected dinner guests. The disciples were already familiar with sudden windstorms on the Sea of Galilee, so when the wind began to whip up the waves, their first response was probably more like “Oh no, not again!” instead of “Whatever shall we do now?” Rough seas were familiar, but they were also dangerous. And this time, Jesus wasn’t sleeping in the back of the boat. They had no idea where Jesus was. This time, the disciples had reason to be afraid. So, what problem do you face right now, that only a miracle could solve? Are you looking at your limited resources against the backdrop of overwhelming need? Are you paying more attention to the huge demands that are being made on your time, your money, and your energy? Or do you keep looking at the small reserves of grace and material goods at your disposal, thinking, “what good can this little bit do?” Have the seas of your everyday existence become so rough and choppy that fear has taken over your life? What problem are you facing right now that could really use a good miracle? Let’s talk about those miracles, or “signs,” as John likes to call them. Jesus has the disciples “make the people sit down” on the grassy hillside, reminding us that he is the Good Shepherd and we are his sheep. Then he TAKES the bread and fish, and GIVES THANKS for it. In the other gospels (Matt 14:19; Mark 6:41; Luke 9:16) he BREAKS these gifts, multiplying by dividing, and has the disciples distribute the food, but here he GIVES the food to the people himself. The parallels to the Last Supper are obvious. We follow these same actions each time we participate in Holy Communion. But here, the miracle is not that people are fed. The miracle is in the multiplication of limited resources into abundance. This is the same miracle we experience whenever we place our trust in Christ. He takes our little faith, and multiplies it, transforming that faith into an abundant supply. It is the same miracle Jesus performs as we grow deeper in love with God and neighbor – the more we give, the more we have to give, and the closer we draw to God. In the second miracle, Jesus just shows up. One minute he’s not there, the next minute, he is. Walking on the water to get to the boat might not be the easiest way to calm the fears of his disciples, but Jesus knows that his presence is what they need most. The New Revised Standard Version doesn’t do justice to John’s Greek here. Jesus doesn’t say, “Hey, stop worrying, it’s just me!” He says something that the disciples recognize immediately as more than assurance they aren’t seeing a ghost. “I AM,” Jesus says, and with these two words, ‘ego eimi,’ he unmistakably identifies himself with God, the Great “I AM.” If they weren’t afraid before, these words might be cause enough for alarm. But Jesus follows them with the command to stop being afraid. This brings us to the final section of the miracle story: the response. First, Jesus has the disciples gather 12 baskets of leftovers “that nothing may be lost.” The crowds have missed the point of this sign that Jesus has just given them. They think it’s about getting fed, and the people want to make Jesus into the kind of king who will always provide for their material needs. Jesus does what any truly great leader would do under such circumstances. He leaves. But notice what happens in the second story. As soon as Jesus tells the disciples to stop being afraid, their deepest desire is for him to get into the boat. And immediately, they arrive at their destination. 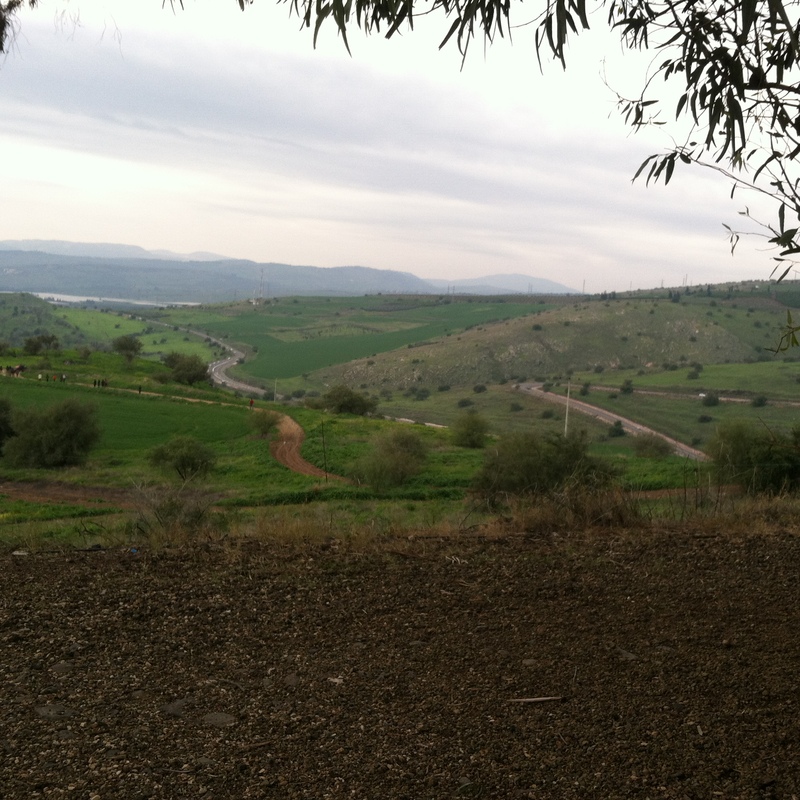 It’s about six miles from Tabgha to Capernaum, sailing directly across the lake. 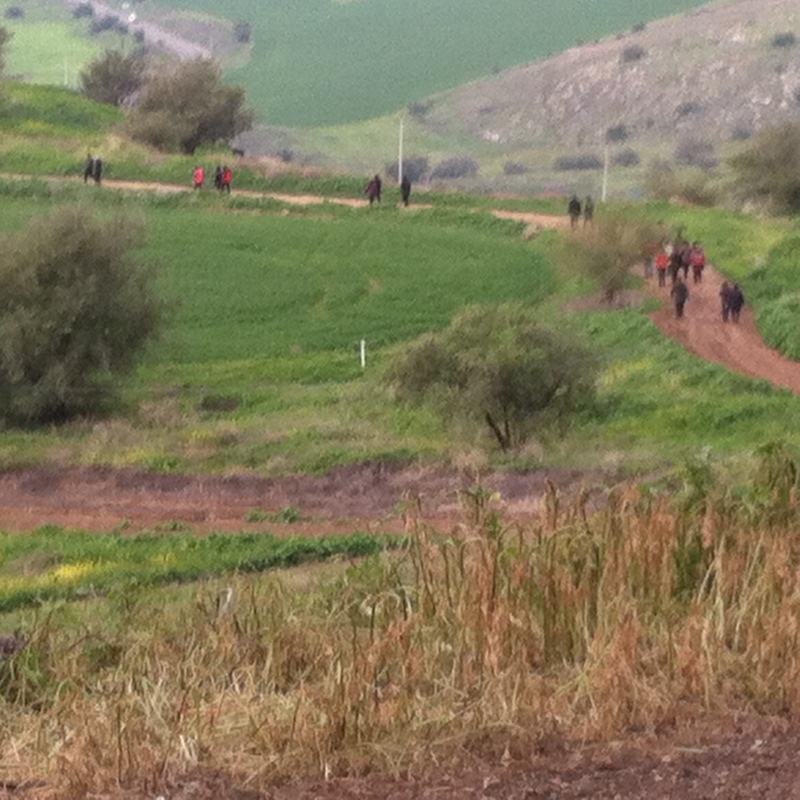 John tells us they were a little more than halfway across when Jesus walked up. Yet, immediately, they’re home, before Jesus can even get into the boat with them. This is what ties these two miracles together. It isn’t the setting or the problem or even the signs themselves. It’s the way people respond to Jesus that teaches us something about being his followers. To put it very simply, when we limit our interaction with the living God by our concern for material things, we miss out on the deeper loving relationship with God that is available to us through Jesus Christ. When we desire to have Jesus get into our boat, he gets us where we need to go. Jesus values every crumb and each of us, that we might not be lost, but how do we respond to that kind of love? Do we try to make him Lord over just our basic needs, OR do we desire to have him come into our boat? It sounds like just the opposite of last week’s message about staying in the boat with Jesus, but it’s the same lesson: the signs Jesus gave show us the way to a close relationship with our heavenly Father through Jesus the Son. Jesus isn’t out to “prove” to you that he is the Son of God; Jesus desires that you invite him into your boat, into your life. While he’s more than able to provide for all your material needs, what he really wants is to draw you into the love he shares with the Father and the Holy Spirit. You can chase after him relentlessly with requests for bread, and claim to be a follower of Jesus, but this isn’t the kind of following he has in mind for you. Jesus wants to change your life. Will you invite him into your boat? Will you desire him more than anything else that pulls at your life? Will you let him multiply your faith so that you can draw nearer to God than you have ever dreamed possible? Give your whole heart to him, and see what great thing he might do in you. Robert A. Bryant, Feasting on the Word Year B, vol. 3, 285.